Since starting my new medication a month ago, my anxiety has sky-rocketed. And as a result, my picking and pulling has been unprecedented. I managed to go through a 'good stage' of trichotillomania (if there is such a thing), where I could actually grow my lashes to the point of being able to wear mascara and keep them for a decent amount of time (save for the odd lash being plucked here and there). I had even managed to grow my lower lashes in for the first time in four years. Things seemed to be on the up, until this whole increased anxiety thing kicked in. To cut a long story short, I am now bald again. Both my upper and lower lashes are completely gone, the mascaras have been packed away, and I have turned to my stash of false lashes to help see me through. It seemed to be perfect timing when, a few days after a pulling spree, I saw Eylure posting about their new range on Instagram. 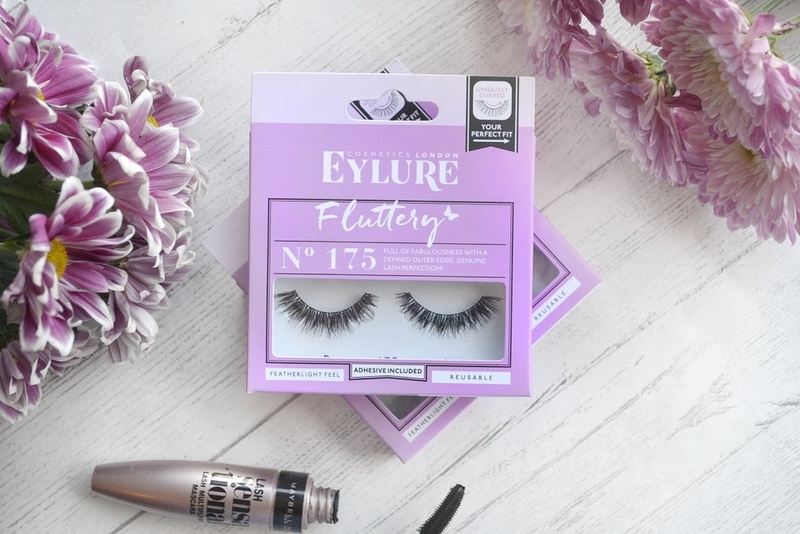 The 'Fluttery' range seemed to arrive at the best time for me; a collection of light, natural-looking lashes that could help cover the baldness day-to-day, and give me an excuse to treat myself to something new in order to lift my spirits. Out of the 6 new styles, I picked up number 171 and 175- the two which I thought looked best to help with hair loss. 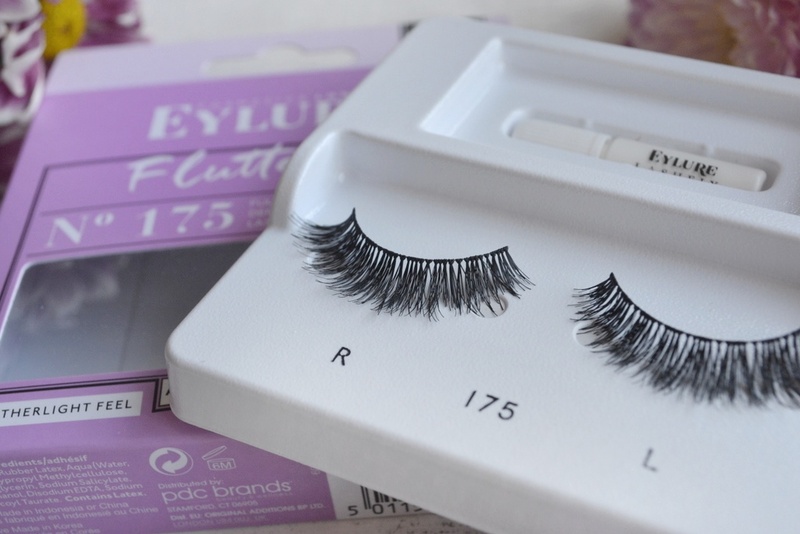 The whole range looks stunning, but there are a some which looked slightly too long (173 and 177), a bit too dramatic (178) or 3/4 length style (170)- I tend not to get these styles when looking for something to cover trich as you don't want them to add to your lashes, you literally want them to be your own, natural lashes. So, let's start with style 171. I think out of the two I bought, this one is my favourite. They aren't quite as full as the other pair, making them look really natural and light. The length isn't too bad either; my ideal lashes would be shorter than this, but let's face it, false lashes are designed to add length to your own so unless we are ever blessed with a range specifically designed for us in mind, falsies are generally always going to be a tad longer than what we would like. There is a good amount of lift to these lashes and the differing lengths add to that natural feel. I would like to see more texture to these to 'rough them up' and make them look less 'perfect', but after a few wears and some mascara they look pretty good. Style 175 is a darker, fuller look but with a length very similar to 171. Because of this, I thought I would be able to get away with using these for everyday wear (especially with some mascara on my lower lashes). However, now my lower lashes are gone, it does make these lashes look extra bold- something to bear in mind depending on where your hair loss affects you. I actually wore these on Halloween and these were the perfect 'going out' lashes for me. Dark, fluttery, lifted with lashes tightly packed at the strip to hide signs of baldness underneath....but just a bit too much for wearing into the office every day. Overall, when I look at this new range I can't help but think how gorgeous each of the new designs are. Each in their own right tick so many boxes, but there just seems to be one box left unticked for every one. They are definitely worth trying out if you're looking for something new (and they have all of the usual Eylure features of them being flexible, lightweight, long-lasting and comfortable), but style-wise, they just don't enter my 'all time favourites' list. 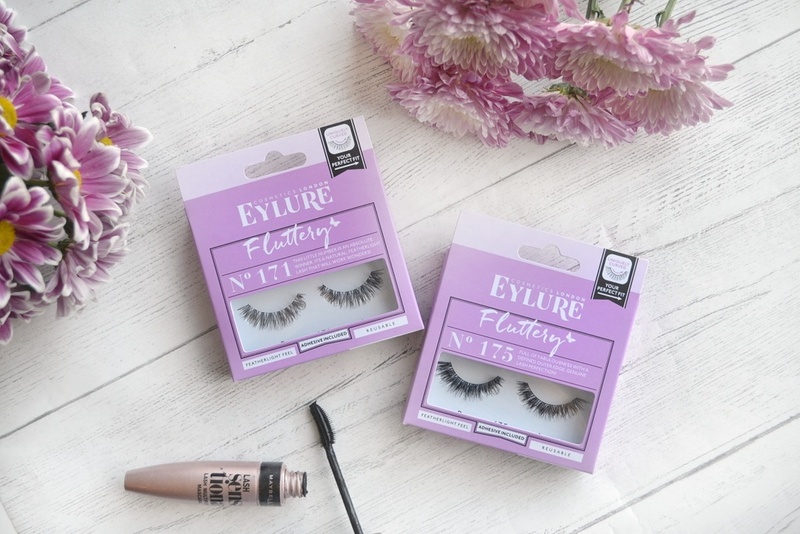 Eylure do better lashes in my opinion that work far better for covering hair loss, such as these lashes from the Kimberley Walsh range. 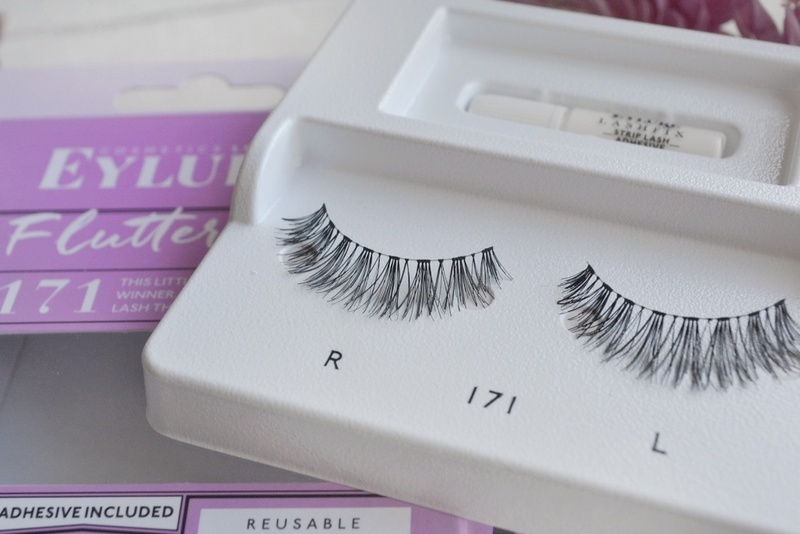 These Fluttery lashes look the part, but when it comes to it, fall ever so slightly short of the mark for trichotillomania. 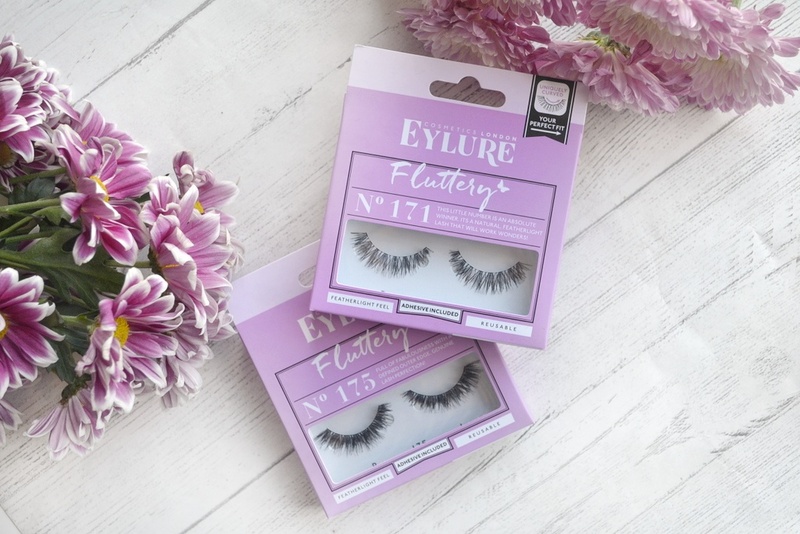 The lashes from Eylure's new Fluttery range cost £5.95 each but Boots and Superdrug are often running promotions that are worth looking out for. 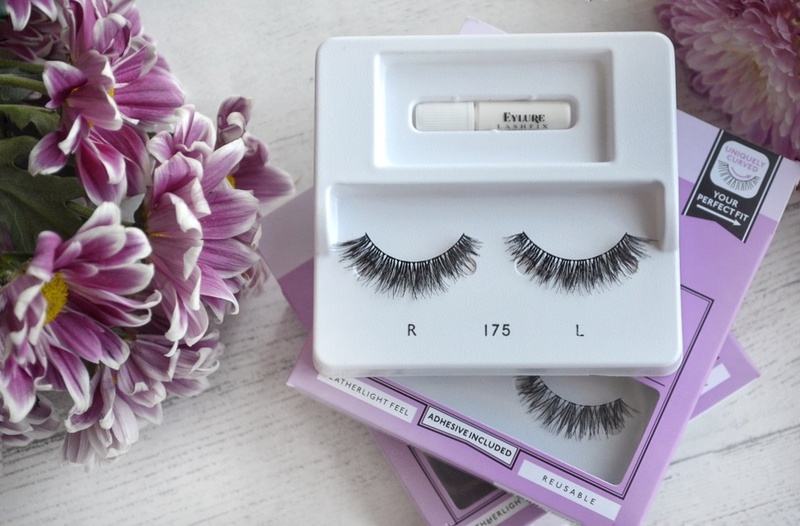 Click here to read my list of favourite false lashes for covering trichotillomania.